Known for its unparalleled charm and hospitality, Eclipse at 1450 is an instant favorite for those searching for the best apartments in Mount Prospect, IL. Each competitively priced apartment at Eclipse at 1450 offers a comfortable lifestyle complemented by resort-class amenities and your choice of spacious one- or two-bedroom floor plans. Each floor plan comes with large closets and additional storage, so you’ll always have a place for everything in your life. Our apartments are newly renovated and include large bedroom layouts and fully equipped, gourmet-inspired kitchens. As an added convenience to our residents, select units feature private balconies or patios and deftly engineered hardwood flooring. Community amenities are everywhere at Eclipse at 1450, including a brand new, state-of-the-art fitness center and outdoor pool with sundeck. On top of even that, you can enjoy a competitive game of volleyball on our sand volleyball court or let your pets rid themselves of some pent-up energy at our brand new bark park. For residents with little ones, we have a wonderful playground on site with multiple slides and attractions. We also have a BBQ grilling area as part of our pool deck so you can make a splash and whip up a picnic without ever leaving the community. And there is so much going on just in the neighborhood as well. We are proud to be located in a top school district and near so many favorite stores, restaurants, and entertainment so you’ll never have to have a bout of boredom again. 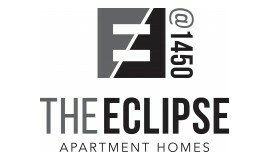 The Eclipse at 1450 is where comfort meets charm, and it’s right here for you to experience. Call us today to schedule a tour of our bustling community with a member of our friendly staff as your guide. We can’t wait to have you in our community!